The Delta D by Rointe is a smart heating system for eco-conscious, stylish households. 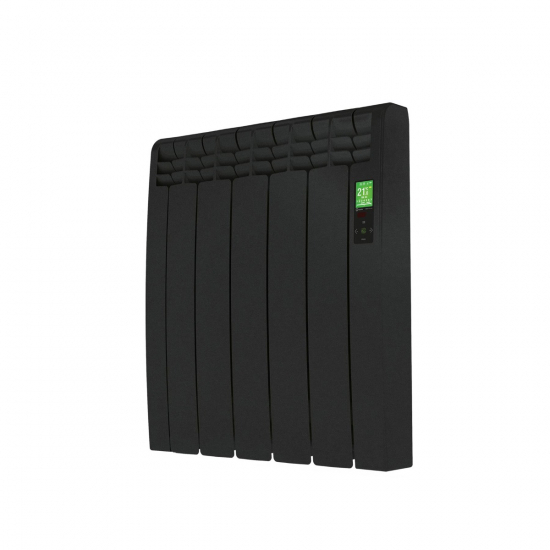 WiFi enabled as standard, the D Series can be remotely controlled from the palm of your hand, while also allowing access to your energy use and heating schedule. This 550w Delta D is a superb choice for smaller spaces, such as home offices or guestrooms. Rointe D Series radiators revolutionise home heating with their elegant aesthetic and uniquely innovative features. Enhanced Wi-Fi controls allow the D Series to be controlled from any compatible mobile device, providing total heat management from any location. The 550w output of this radiator is ideal for smaller rooms in your home, however, it can also be used alongside other Rointe D Series radiators to heat a larger space.